Haridwar is a very popular religious hub for all Hindus across the country. Hardiwar gets its name from ‘Har-ki-dwar’ meaning ‘gateway to God’s world’. This ancient and highly religious city was the first to receive River Ganga on the plains. 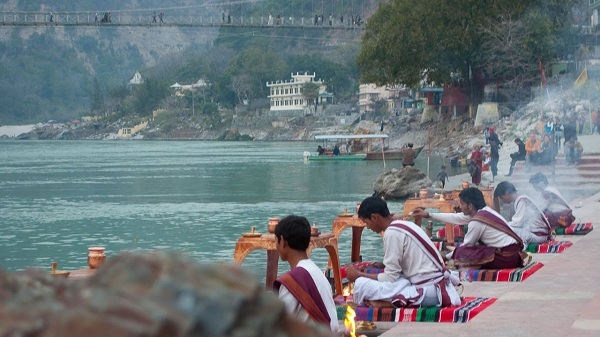 ‘Har-ki-Pauri’ ghat along the gushingly flowing Ganges is considered highly auspicious. Many vital Hindu rituals like Shraddh ceremony, Asthi Visarjan ceremony, Mundan ceremony etc are performed on the Har-ki-Pauri. This sacred Ghat is said to have been visited by two important gods of the Hindu pantheon, Lord Vishnu and Lord Shiva during the Vedic ages. The large footprint present on a stone slab at Har-ki-Pauri is believed to be that of Lord Vishnu. 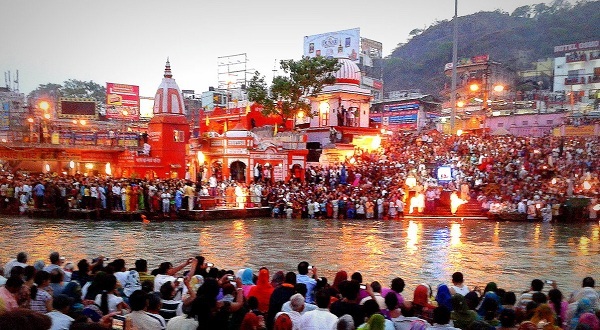 Har-ki-Pauri’s Ganga Aarti is a splendid sight and leaves pilgrims spellbound at the divinity and beauty of the sight. Hardiwar is also famous for some of the most revered temples of the country like Chandi Devi temple, Maya Devi temple, Mansa Devi temple, Daksha Mahadev temple. On the Himalayan foothills lies the country’s famous yoga capital, Rishikesh. The calm shimmering stream of the holy Ganges flowing through Rishikesh, the snowcapped Himalayan ranges stretching across the horizons and the many tranquil ashrams and yoga therapy centers make Rishikesh the perfect hub for yoga and deep spiritual meditation. Triveni ghat of Rishikesh is quite famous among the pilgrimage circuit. According to popular beliefs three mighty holy rivers of the Indian subcontinent, Ganga, Yamuna and mythical River Saraswati, flow together as a joint stream underneath the ground at this particular point. Laxman Mandir, Neelkanth Mahadev temple, Rishikund, Ram Jhula, Laxman Jhula are some other places of Rishikesh quite famous among pilgrims. Hemkund Sahib is an important Sikh spiritual destination perched at an elevation of 15000 feet above the sea level. 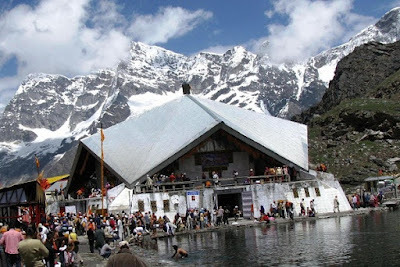 It is also known by the name of Gurdwara Sri Hemkund Sahib Ji. According to popular beliefs and legends, Guru Govind Singh, the tenth Sikh Guru meditated here during his previous life or birth. Hemkund Sahib epitomizes all principles of Sikh faith. 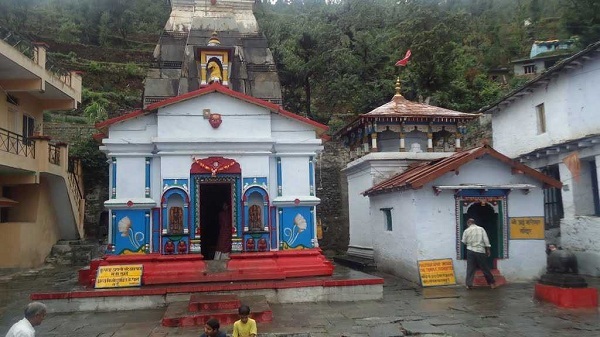 Guptakashi lies in vicinity to Kedarnath Dham, at a distance of nearly 47kms. The word ‘Guptakashi’ stands for ‘Hidden Kashi’. According to legends, Lord Shiva hid himself at this spot in order to evade the Pandavas who came seeking for his blessings. Guptakashi is popular among pilgrims for important temples like Vishwanath temple, Ardhnarishwar temple. 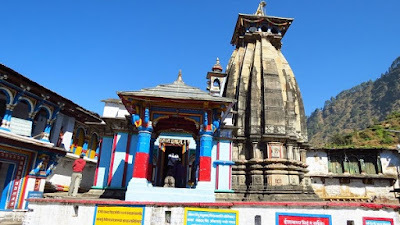 Ukimath in Uttarakhand’s Rudraprayag district is a holy town that houses the famous Omkareshwar temple where Lord Kedarnath Ji is worshipped during the severe winter months when Kedarnath temple is shut down due to heavy snowfall. The town of Ukhimath is home to the Rawals who are head pundits or priests of the Kedarnath temple. Adi Shankaracharya Samadhi is the grave of the great spiritual guru and philosopher, Guru Shankaracharya who is known to have revived the Hindu religion. Towards the end of his life, he chose the land behind Kedarnath temple to take Samadhi and depart from his mortal body. At present, there’s a serene and holy Samadhi at that spot where the guru left for his heavenly abode. Pilgrims throng the place to pay their tribute to the great guru. 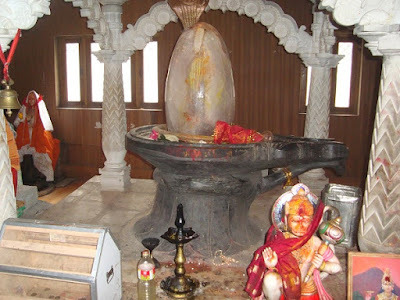 Panch Kedars are the five abodes of Lord Shiva in Uttarakhand. The ‘Panch Kedars’ consist in Kedarnath, Rudranath, Tunganath, Madhmaheswar, Kalpeshwar. Myths hold that the five parts of Lord Shiva scattered into different directions as he attempted to escape the Pandavas by diving onto the ground in the form of a bull. 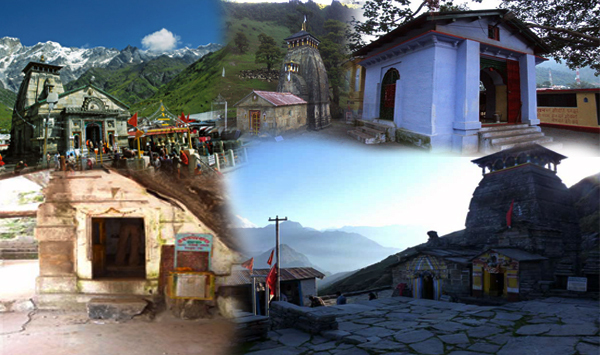 Each of these five regions come with a Shiva temple and are collectively referred to as ‘Panch Kedars’. 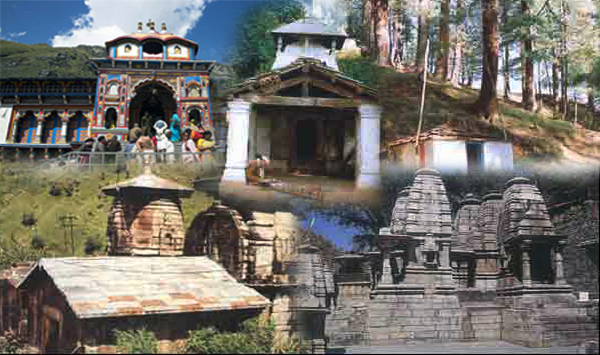 Panch Badri is the name used to denote the five holy sites of Uttarakhand dedicated to Lord Vishnu. Badri Vishal, Bhavishya Badri, Yogyadhyan Badri, Vridha Badri and Adi Badri are those five revered sites given to Lord Vishnu. Pilgrims and Vaishnavites especially, flock in all these five Badris to pay their tribute to Lord Vishnu. Chardhams of Uttarakhand are also called Chota Chardhams. The spiritual benefit of this journey is believed to equal that of the All-India Chardham Yatra in magnitude and enormity. 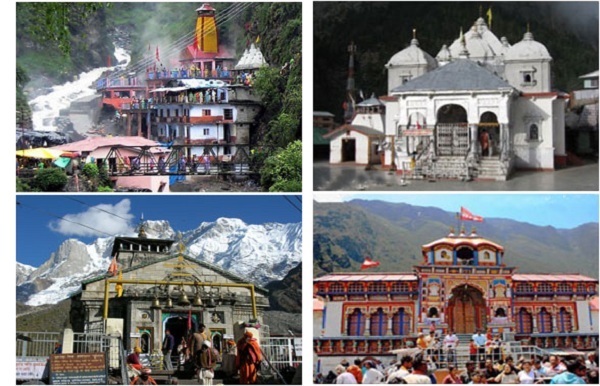 Uttarakhand Chardhams consist in the four Dhams of Yamunotri, Gangotri, Kedarnath, Badrinath. A Yatra of the Chardhams is believed to be potent enough to cleanse man of all his mortal sins. Yatra to Chardhams stand out as a kind of wish fulfillment for any devout Hindu. 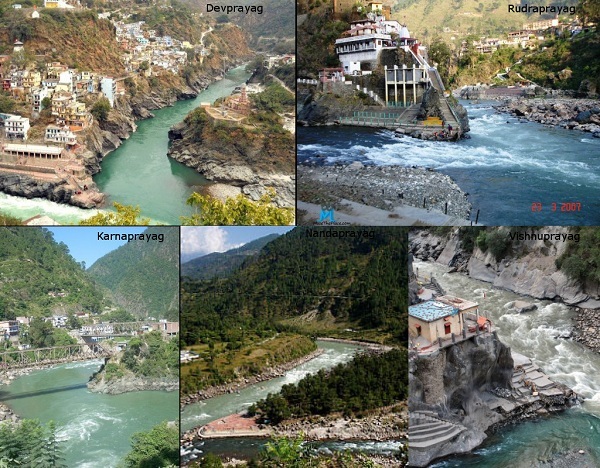 Panch Prayag is the name given to the five sacred confluences of rivers in Uttarakhand. The five confluences namely, Devprayag (confluence of Bhagirathi & Alaknanda), Rudraprayag (confluence of Alaknanda & Mandakini), Vishnu Prayag (confluence of Alakananda & Dhauli Ganga), Karna Prayag (confluence of Alkananda & River Pindar), Nandaprayag (confluence of Alkananda & Nandakini) are considered highly auspicious for religious rituals and delving. Often pilgrims to Uttarakhand Chardhams club the Chardham Yatra with the three other significant Yatras like Panch Kedar Yatra, Panch Badri Yatra, Panch Prayag Yatra, thereby undertaking all the four pilgrimage tours in Uttarakhand that hold special significance.